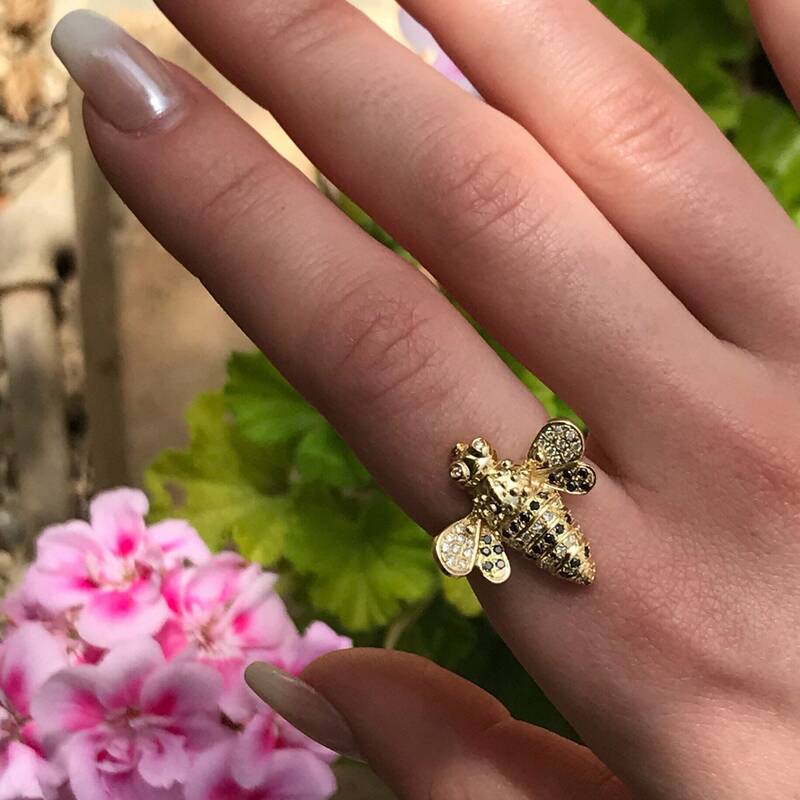 The Flying Bee Ring is Hand Sculpted, cast and finished in 18k yellow Gold, hallmarked in Cyprus. It is set with 0,092 ct. Black and 0,17 ct. White Diamonds. 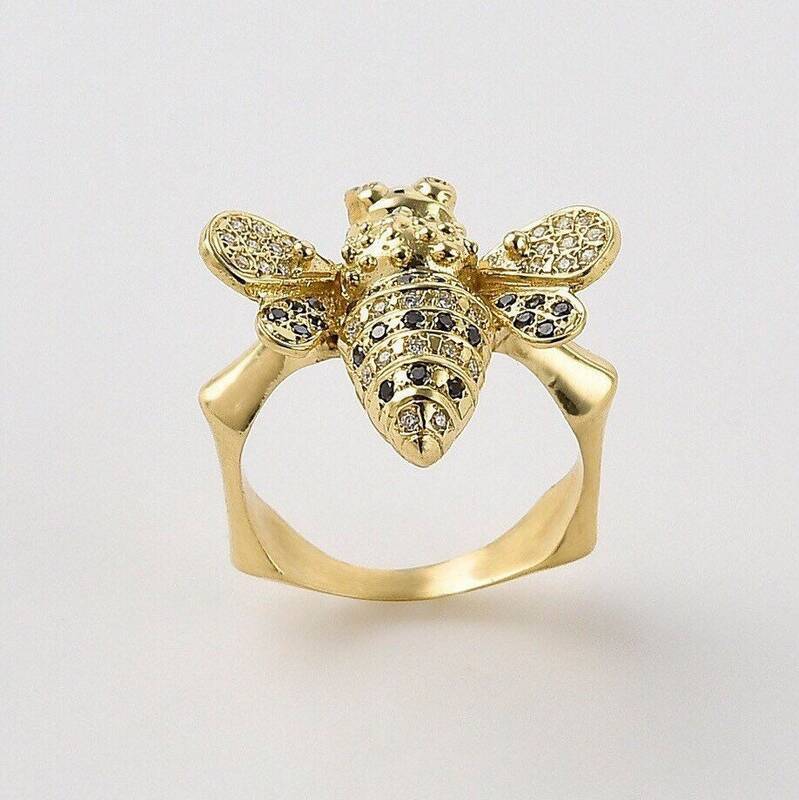 The bee is symbolic of community, industry, wisdom and immortality. 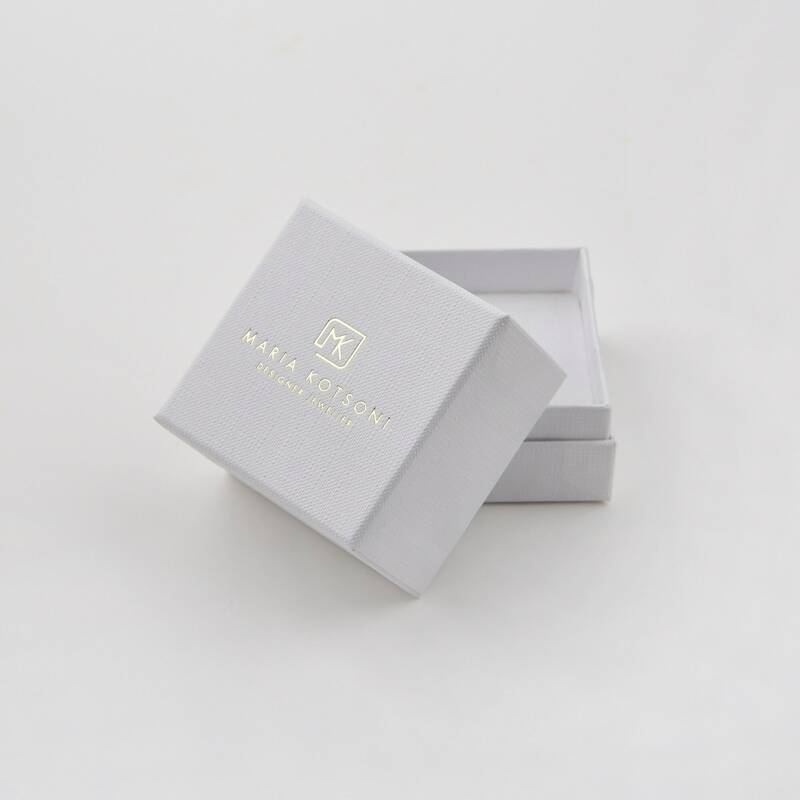 Bees are bringers of good luck and prosperity. 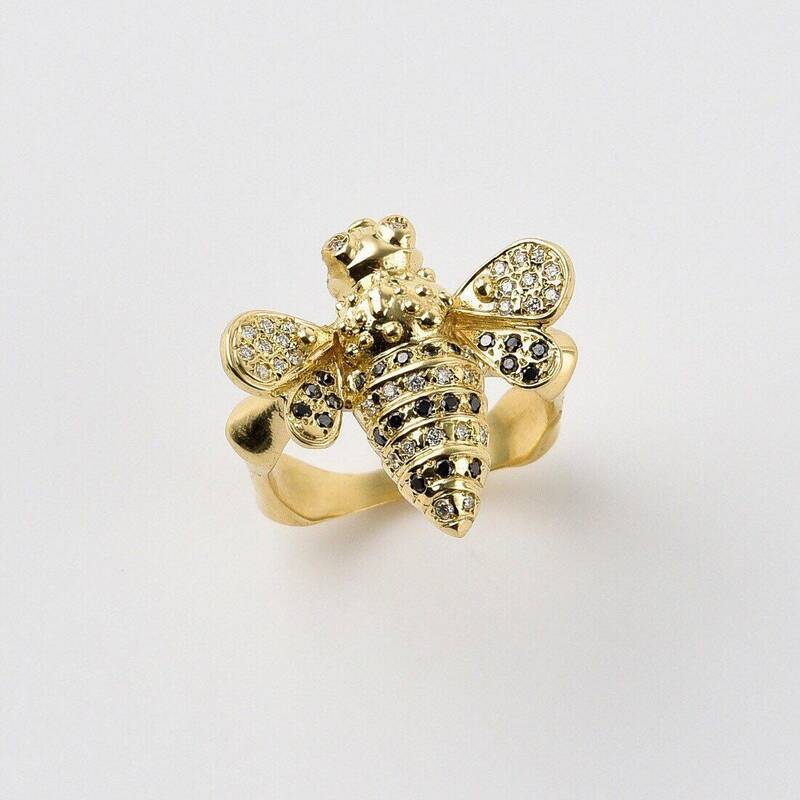 The Flying Bee ring is part of the designers ‘Eternal Spring’ collection.